The asylum case of a Mexican family whose matriarch was assassinated during a political protest could “define the politics of refugee detention” and shape how the U.S. weighs future cases of those wishing to flee political persecution in Mexico, an El Paso-based immigration attorney said Tuesday. The asylum case of a Mexican family whose matriarch was assassinated during a protest could “define the politics of refugee detention” and shape how the U.S. weighs future cases of those fleeing political persecution in Mexico, an El Paso-based immigration attorney said Tuesday. The New York Times reported late Monday that the family of Marisela Escobedo Ortiz refused an offer of protection from the Chihuahua state government and instead chose to enter the United States via the international port of entry in El Paso and seek asylum. Escobedo was shot dead two weeks ago as she protested the 2008 murder of her daughter Rubí Frayre, 16, in Ciudad Juárez, Chihuahua. Frayre’s alleged killer was arrested but later released by Mexican authorities. Escobedo’s murder was captured by security cameras at the Palacio de Gobierno de Chihuahua in Chihuahua City, the state capital. Spector represents Mexican journalist Emilio Gutierrez, a former reporter from Ascensión, Chihuahua, who wrote for the affiliate of El Diario de Juárez, the border city’s largest paper, and Alejandro Hernández Pacheco, a former cameraman for Televisa. Gutierrez sought asylum after receiving threats from the Mexican military for reporting on its alleged human rights violations. Hernández was kidnapped and held for days by alleged cartel operatives after covering a prison break in the state of Durango. Their requests for asylum are pending before U.S. immigration courts. As of Tuesday, Spector was not representing the family but told reporters “several human rights organizations have contacted [him] about his possible interest” in the case. The current whereabouts of the family are not known, including whether they are being detained by federal authorities, he said, which is possible despite their having committed no crime. Gutierrez served seven months in an immigration detention center because he had no legal means to enter the U.S. and sought asylum at the port at Antelope Wells, N.M. Spector said he has learned that Escobedo’s family — four or five relatives, including two minor children — all had legal crossing documents except for one. Like Hernández, if the family entered legally and sought affirmative asylum, there is a possibility they could have avoided detention. The affirmative process involves an applicant already in the U.S. who applies for and is granted an interview with an asylum officer. 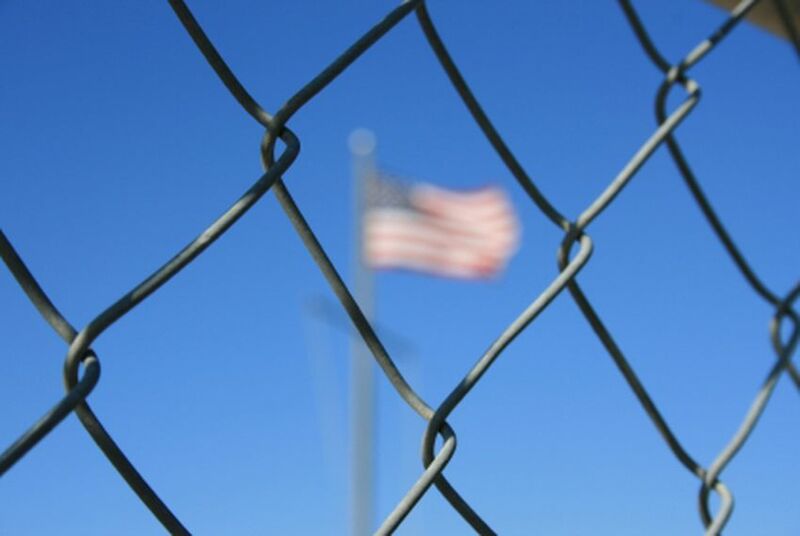 The defensive process involves being detained, either at a port of entry or in the interior, and being subject to expedited removal from the U.S. under current immigration law. The family’s case is a prime example, he said, because Escobedo was protesting what she deemed a lack of due justice after her teenage daughter’s murder. “It’s because of her clear political opinion. She was denouncing the Mexican judicial system,” said Spector, adding that the case also shines the light on the political assassinations of female political activists.